Get access to all of your purchased I Speak Life Academy™ digital products, updated streams of content, motivational quotes and more. Exclusive Access – Dr. Jason’s Speak Life Academy™ iPhone and Android app gives you access to all of your purchased Speak Life™ digital content, a daily quote, and more. 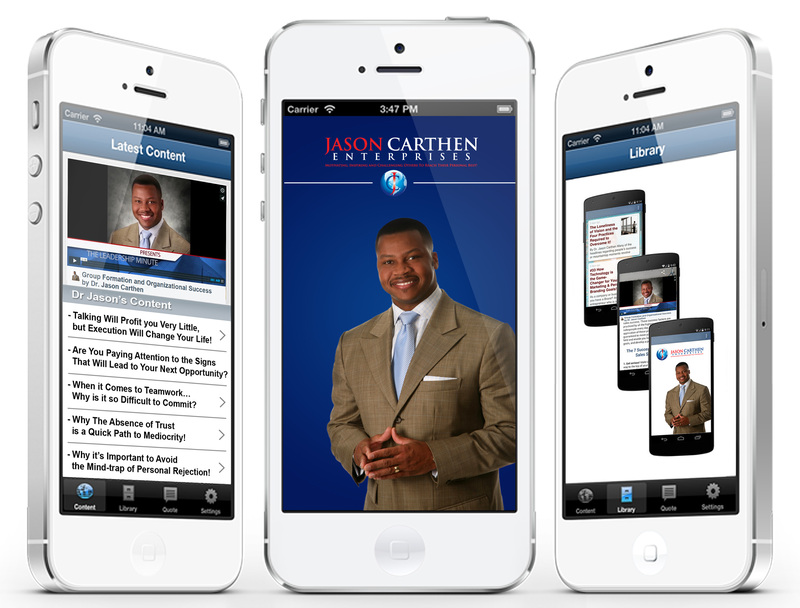 Library – If a program that you’ve purchased (or plan on purchasing in the future) from www.JasonCarthen.com is available in digital format (most are), you will be able to find and stream it from the “Library” tab of this app. Latest Content – Stay up-to-date with Dr. Jason’s latest content in the content tab. View and share all of Dr. Jason’s latest articles and videos as soon as he posts them. Quote of the Day – The Quote of the Day section will update daily with a new motivational quote from Dr. Jason’s personally crafted and written quotes that he has archived through the years.